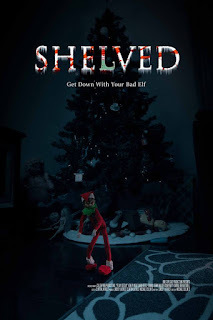 From the director of the slasher film PI DAY DIE DAY comes his latest film to terrorise your screen, the Christmas horror SHELVED. The film follows the Montgomery family after the father brings home a toy from an antique shop that the seller seemed very keen on NOT selling. The daughter of the household Alice sees the toy for what he truly is, a mischievous elf called Private Gumdrop. Naturally the elf causes havoc amongst the household, spreading toothpaste around the bathroom, taking a dump on some freshly made gluten free cookies. Alice's parents of course blame her and can't stand her lies but as soon as they see what Private Gumdrop is really capable of will they continue disbelieving? The film is based in modern times but everyone apart from the elf talks as if they were from the 1950's with such lines as "Oh, you are such a card!". There is continuous problems with the sound matching the visuals throughout which may annoy a few people as it feels like your watching a badly dubbed Kung fu movie from the 1970's. I must praise them on using puppetry on Private Gumdrop to move him throughout the film, but maybe just a little of computer magic to hide those unsightly strings would have helped and all will be good. Fans of bad acting in the vein of TROLL (1986) will find much to like here but those who like their acting of slightly higher calibre be warned, you will be in for a very bumpy ride of corny jokes from Private Gumdrop. 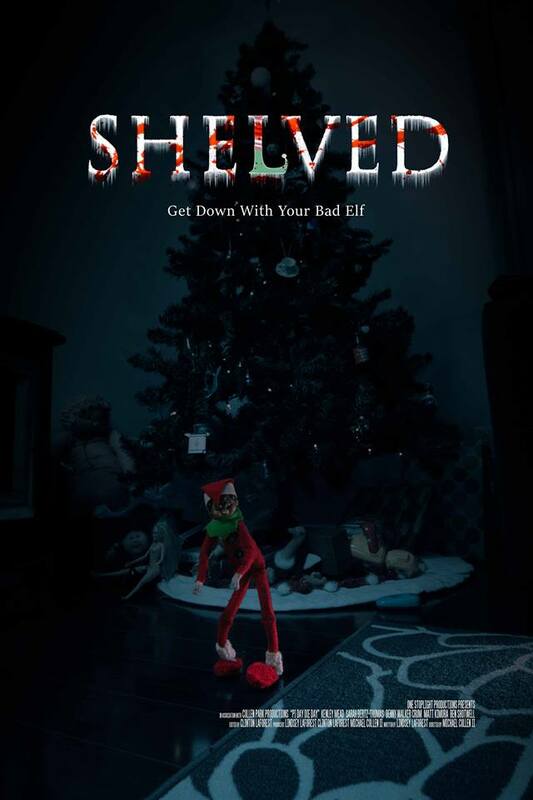 SHELVED is a Christmas horror film only to be found on the naughty list.